Intentaré ser breve, ultimamente he estado escribiendo parrafazos de texto en cada post y no se si eso cansa un poco o no. El primero es el Agua Micelar de Garnier. Creo que esta ya ha alcanzado el estatus de producto de culto entre las bloggers de belleza casi tanto como Bioderma. Es muy bueno, no es caro y cómodo para comprarlo en cualquier tienda cercana. Lo que le ha estado funcionando genial a mi pelo y con lo que de verdad he notado un diferencia es con el Protector de Calor de L’oreal Elnett Satin, esta es la versión volumen y si que da bastante volumen a la vez que lo protege del secador y las planchas. Deja el pelo mucho más flexible, brillante y sin necesidad de usar otro producto más para añadir volumen. I’ll try to be brief, lately I’ve been posting big chunks of text on every post and I don’t know if that’s a bit of a put off. First here’s Garnier’s Micellar Water. I think this has already reached a cult status in the beauty blogger world almost as much as Bioderma. It’s really good stuff, affordable and easy to pick up in any store nearby. 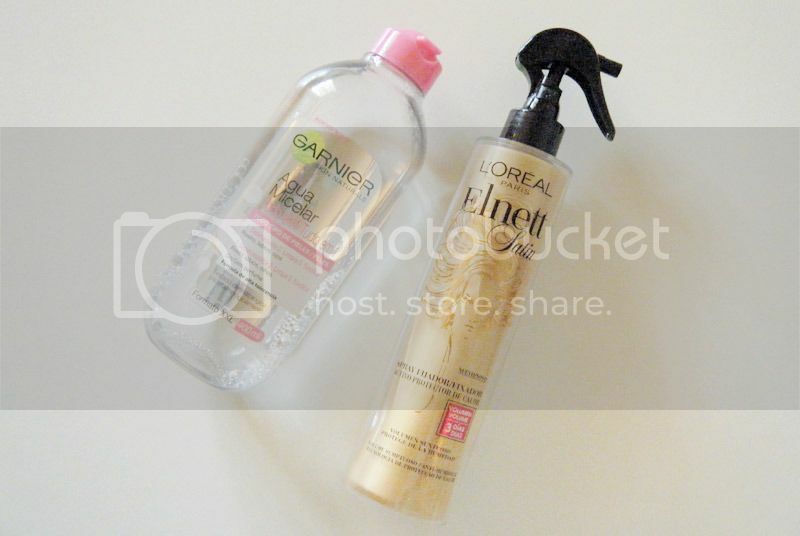 What my hair has been loving and I’ve really noticed a difference after using it is L’Oreal Elnett Satin Heat Protect Spray, this is the volume version and it really adds volume to the hair while protecting it against the heat. It leave my hair a lot bouncier, shinier and without the need of using anything else to add volume. El iluminador de The Balm Cindy-Lou Manizer me vino este mes en la cajita de Birchbox y desde que lo tengo no lo he dejado de usar a diario. Aun corriendo el peligro de parecer un gusiluz las 24h del día yo no paro con él. Como tiene un tono más bien amelocotonado ahora en invierno es bastante favorecedor. Un poco en los pómulos, la nariz y debajo de las cejas es suficiente. Está mas que claro que antes de que termine la muestra tan mona tendré en mi poder el tamaño original. Es necesario. Por otro lado he vuelto a darle duro al Lip Injection Extreme de Too Faced. La ultima vez que me he pasado por Sephora he visto que le han cambiado el packaging y me acordé que aun lo tenía rondando el cajón de los labiales. Lo encontré y lo he vuelto a estar usando todas las noches. Pica una barbaridad, eso es que funciona. Es broma, pero si que funciona. Tengo los labios finos y por las mañanas noto que aun está puesto y si me los hincha al menos un poquito. 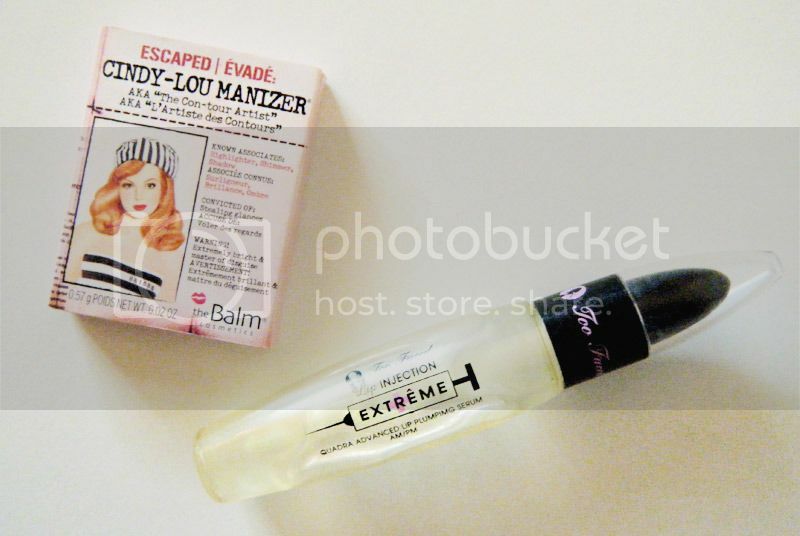 The Balm Cindy-Lou Manizer highlighter came this month included in a Birchbox and since I got it in my hands I haven’t put it down. Even knowing the risk of looking like a disco ball most of the time I just can’t stop using it every single day. 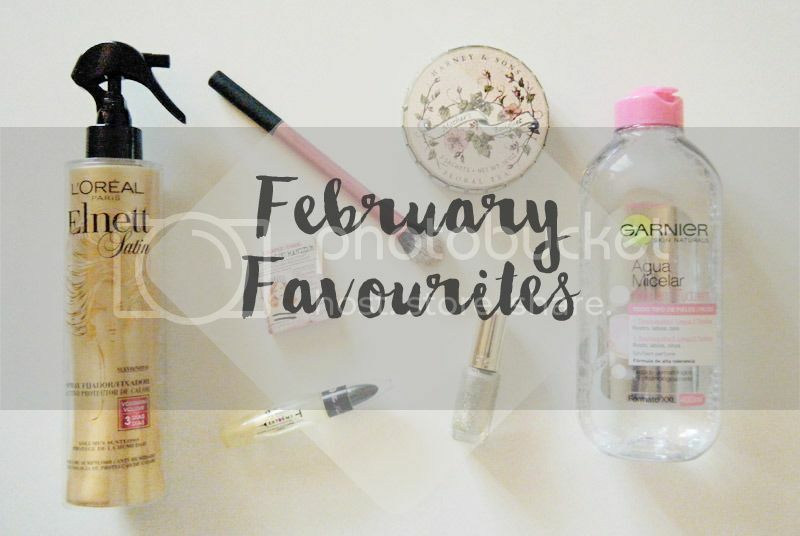 It has a peachy kind of tone that looks quite flattering in winter. A bit on top of the cheeks, the nose and under the eyebrows is enough. It’s pretty obvious I will have the original size before this cute mini size runs out. It’s necessary. I’ve also been totally hooked again to the Too Faced Lip Injection Extreme lip plumper. Last time I strolled around a Sephora I noticed the packaging is now different, that reminded me I had one living in my lip stuff drawer. I found it and I’ve been using it every single night for about three weeks. It stings like hell, that means it works. I’m joking, but it does work. I’ve got super fine lips and in the morning I see it’s still there and they look a bit plumper than normal. Otros dos productos que me han estado gustando muchísimo, uno es el Setting Brush de Real Techniques, esta brocha es alucinante. Es muy buena para multitasking, la puedes usar para el iluminador, para aplicar polvos sueltos en zonas pequeñas, para difuminar correctores y me atreveria a decir que también para contornear. En serio, si no la tienes, aun no lo sabes pero necesitas una en tu vida. Y mi pintauñas preferido por el momento es L’Oreal Color Riche Nail Polish en el tono 843 White Gold. Creo que es un top coat y lo he estado usando como top coat sólo en una uña y como laca de uñas normal. Es simplemente precioso, es super brillante. En la fotografía no se puede apreciar todo lo que brilla sin que contenga glitter en plan grande, es muy fino y llama mucho la atención. Another two products I’ve been loving a lot, one is the Real Techniques Setting Brush, it is just amazing. It’s a great multitasking brush as you can use it for highlighter, for powdering small areas, to blend concealer and I’d dare to say even for contouring. Seriously, if you don’t have it, you don’t know yet but you need it in your life. 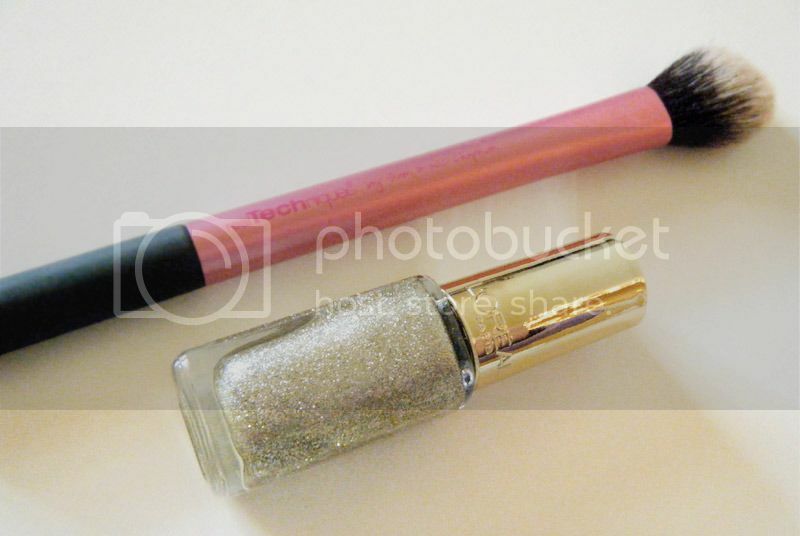 My favourite nail polish at the moment is L’Oreal’s Color Riche Nail Polish in 843 White gold. I think it’s a top coat, and I’ve used it as a top coat for an accent nail and as a nail polish on its own. It’s just gorgeous, so shiny and sparkly. In the picture you can’t appreciate how sparkly it is without having big chunks of glitter, it’s very fine and manages to catch everyone’s eye when you wear it. Por último algo que no es de belleza pero que lo quería incluir de todas formas, porque si. Este mes me ha dado por cortar un poco con el café y pasarme de nuevo a tomar té. He estado comprando unos cuantos por la cosa de probar diferentes y este de Harney and Sons Mother’s Bouquet me ha gustado mucho. Es un té floral, contiene flores de camomila, rosas, aciano, cáscara de naranja y un sabor algo cítrico. Es muy suave y las latitas en las que vienen son preciosas. Creo que este formato en concreto está agotado ahora en su web, pero hay versiones de prueba y latas de 20 sachets como las que se pueden encontrar en iHerb. And the last one is not beauty related but I wanted include it because why not. This month I've been cutting out on coffee and drinking more tea again. I’ve been buying a few different ones just to try them and this Harney and Sons Mother’s Bouquet has been a stand out. It’s a floral tea that contains chamomile flowers, rosebuds, cornflowers, orange peel and a citrus flavour. It’s very mild and light and the little tins are just to die for, so cute! 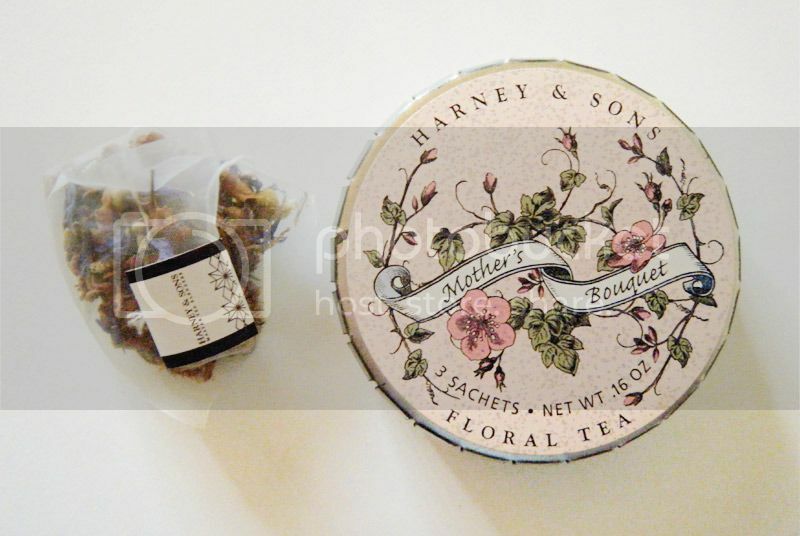 I think this format is currently out of stock on the Harney and Sons website, but there are loose tea samples and 20 sachet tins like the ones you can find on iHerb. El agua micelar de Garnier también es de mis favoritas desde que la probé! Quien supiera antes del protector de calor de Elnett para dar volumen antes... Me acabo de dejar 15 eurazos en un producto de Sebastian para dar volumen... Que si, que va muy bien, pero vaya... Que duelen! Un beso!